Former “Today” anchor Matt Lauer on Thursday released a statement acknowledging his wrongdoings with women over the years and apologized — but also said some of the charges against him were untrue. Lauer, however, disputed some of the claims that have been raised since his sudden termination was announced on Wednesday. “Some of what is being said about me is untrue or mischaracterized, but there is enough truth in these stories to make me feel embarrassed and ashamed. I regret that my shame is now shared by the people I cherish dearly,” he continued. “Repairing the damage will take a lot of time and soul searching and I’m committed to beginning that effort. It is now my full time job. The last two days have forced me to take a very hard look at my own troubling flaws. It’s been humbling. I am blessed to be surrounded by the people I love. I thank them for their patience and grace,” Lauer concluded. 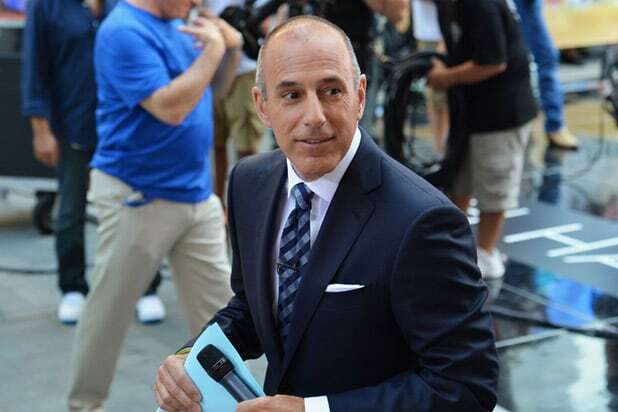 After two decades at the helm of “Today,” Lauer’s career unraveled just 24 hours after NBC management was confronted with a detailed allegation of sexual misconduct against him. He was fired Tuesday evening and the news was read on-air live by a visibly-shaken Guthrie. As fallout from Lauer moves into a second day, there are growing questions about what NBC management knew about Lauer’s behavior, and when they knew it.